What was Jesus’ intention at the last Supper? That’s where this module begins. We then examine how the Eucharist was celebrated in the first century. In chapter 3 we delve into Transubstantiation and then, in chapter 4, we explore how the Mass of the Roman Rite developed from the 2nd through the 4th century. 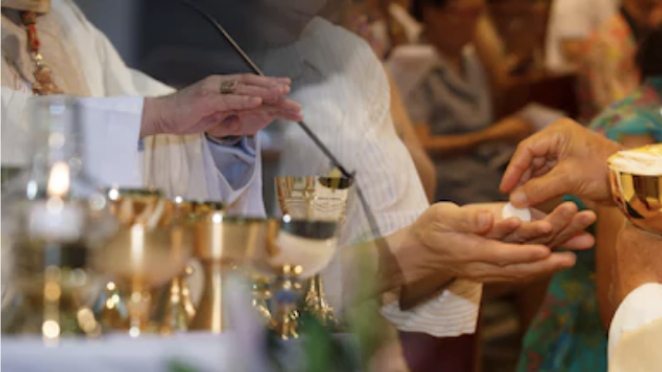 In chapter 5 we examine how our Mass is actually a prayer that unites us with Christ and we conclude with the 5 graces offered in the Holy Eucharist. Those who say they don’t get anything out of the Mass need to read this section. They are missing out.